Where : W11-180 (Religious Activities Center, small dinning room). 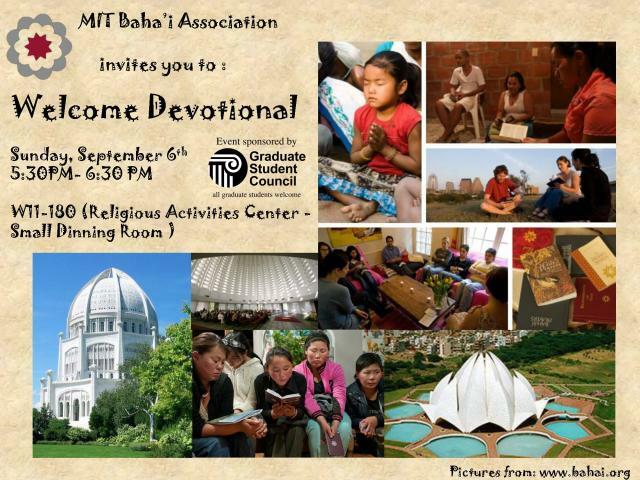 The MIT Baha'i Association invites you to our annual "Welcome Devotional" on Sunday, September 6th. Please join us at W11-180 (Religious Activities Center, small dinning room), between 5:30-6:30 PM. All are welcome so please do not hesitate to join us!